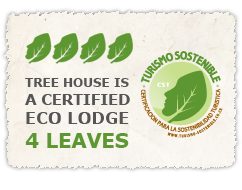 On the southern Caribbean coast of Costa Rica, in the heard of the Gandoca-Manzanillo wildlife refuge, you'll find a hidden treasure and your best choice of Natural and Eco-friendly Tree Houses in Costa Rica. 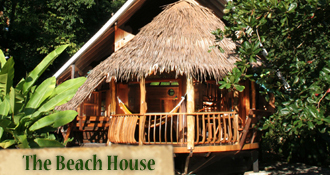 The complex is located on a 10 acre ocean front property in the famous Punta Uva beach, just south of Puerto Viejo in the province of Limon. 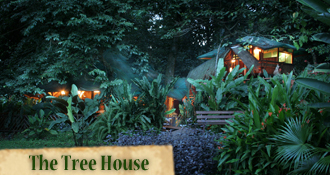 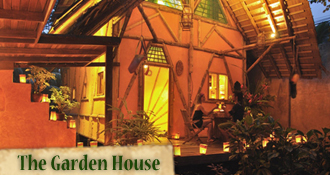 Total privacy, a natural tranquil atmosphere, and full relaxation are keywords for the time you will spend at the tree house. 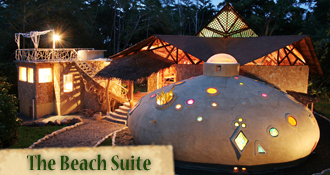 With your own beach access and 300 meter beach front, you won't have to meet anybody else during your stay at this romantic hideway.